← Je suis Charlie Hebdo! 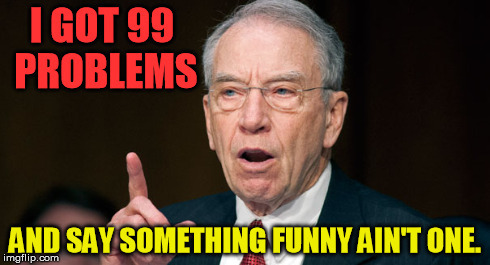 This entry was posted in Meme, Political Satire and tagged chuck grassley. Bookmark the permalink.